At UN, East Timor and Australia Sign Deal on Maritime Border - Integration Through Media ....! (VOA): East Timor and Australia signed a treaty at the United Nations in New York on Tuesday to resolve a long-running dispute over their maritime border and struck a deal on how to share revenue from the giant offshore Greater Sunrise gas field. 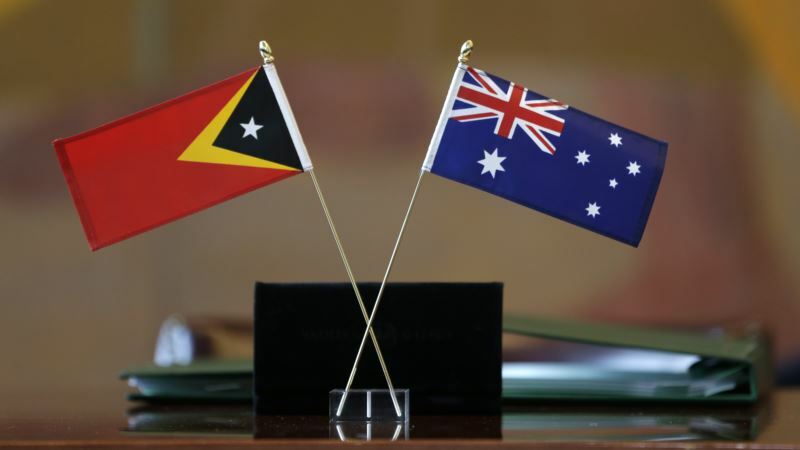 Under the agreement, East Timor will receive a bigger share of the revenue than Australia depending on the development concept – 70 percent of the revenue if the gas is piped to the tiny country or 80 percent if the gas is piped to Australia for processing. The agreement establishes a maritime boundary in the Timor Sea for the first time. Australia had sought a boundary aligned with its continental shelf, but East Timor argued the border should lie half way between it and Australia – placing much of the Greater Sunrise field under its control. “With this treaty we open a new chapter in relations between Australia and Timor-Leste,” said Australian Foreign Minister Julie Bishop, who signed the treaty alongside East Timor's Deputy Minister of the Prime Minister for the Delimitation of Borders Hermenegildo Augusto Cabral Pereira. “Australia has an enduring interest in a stable and prosperous Timor-Leste. As good friends and close neighbors we want Timor-Leste to achieve its economic potential,” she said. The protracted dispute had led the owners of Greater Sunrise – Woodside Petroleum, ConocoPhillips, Royal Dutch Shell and Japan's Osaka Gas – to shelve the project. The Greater Sunrise field is estimated to hold 5.1 trillion cubic feet of gas and 226 million barrels of condensates, which analysts have previously estimated could be worth $40 billion. Dili had taken the long-running maritime border dispute to the Permanent Court of Arbitration, an intergovernmental organization based at The Hague, which ordered compulsory arbitration between the two parties. East Timor had been pushing hard for the building of an onshore processing plant to boost its economy.